Stick lollipop stick through the bottom of the candy bar (make sure you don't poke it through the top). Melt about 1/4 cup chocolate chips according to package. 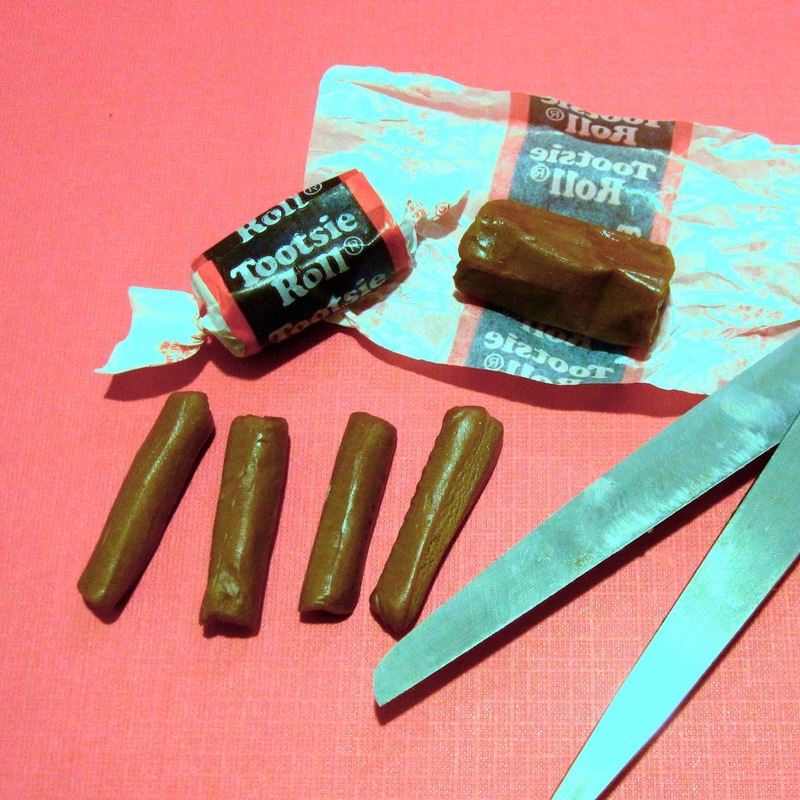 For the legs, cut one tootsie roll in half lengthwise, and then cut each half in half again so you have 4 equal strips. With melted chocolate, attach one leg to each corner of the bottom of the candy bar. Attach mini chocolate chip for the tail, a malt ball for the head, and a black or red candy coated chip for the nose (flat side facing out). Cut the pretzel twist in half to form antlers and attach them on the top of the head. 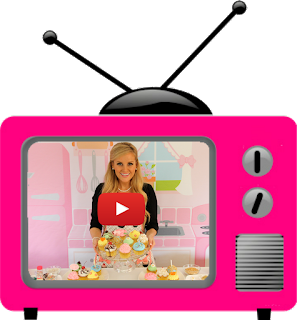 Draw on eyes and a mouth with the edible marker, or paint it on with black food coloring. 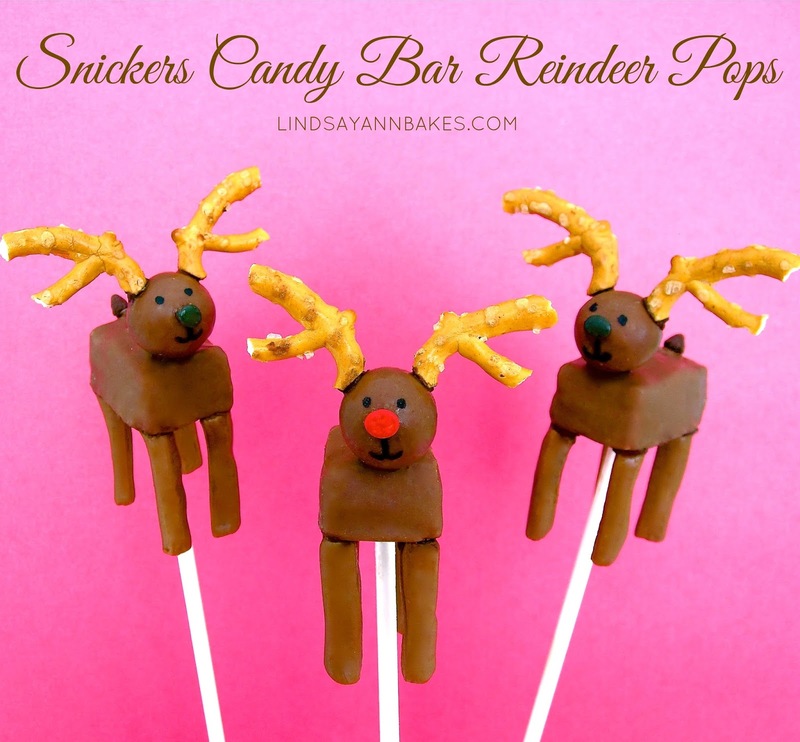 Make individual Rudolph pops and individually wrap them in clear plastic bags for a party favor, or you can create a display for your pops. To create a display that your pops can stand upright in, take a block of Styrofoam and wrap it in festive wrapping paper or tissue paper. Push the bottom of each stick into the styrofoam for guests to easily grab and enjoy. Or try creating all 9 reindeer and make an edible centerpiece!